China’s greatest gift to the world: its philosophy. Hong Kong: The Chinese University Press. 2005. With all the noise about how China is rapidly becoming a global superpower of the 21st century, it’s ironic that one of China’s greatest contributions to the human race has been utterly ignored. I’m referring to the values and philosophical constructs of traditional Chinese thought, from their first flowering with the names of Lao-Tzu and Confucius, to their great fruition in the Neo-Confucian system of Chu Hsi in the 11th century. Donald Munro, a highly regarded authority on Chinese culture, is trying to change all that. In his book, A Chinese Ethics for the New Century, Munro collects some lectures and other essays around a central theme: that traditional Chinese thought is consistent with some of the most recent findings in modern science about the human condition, and that our modern world can learn a lot from millennia of accumulated Chinese cultural wisdom. Munro briefly reviews some of the findings of modern evolutionary psychology and neuroscience, and relates these to central themes in Chinese philosophy, identifying the principle of an innate human sense of morality as the most important of these linkages. In recent decades, many empirical studies of human behavior have converged on the theory that, back in Paleolithic hunter-gatherer days, humans evolved an instinctual set of social responses encompassing what we call empathy, altruism and a sense of fairness. This is a radical change from traditional Western thought, which posits a natural state for humans that, in the infamous words of Hobbes, is “solitary, poor, nasty, brutish, and short.” In the received Western tradition, we humans are saved from this horrible fate either by the imposition of Christian values or by pulling ourselves up by our bootstraps through the development of social institutions that control our violent nature. For centuries, Western intellectuals have dismissed this view as mere wishful thinking, but this is exactly where modern science has shown Mencius to be right. In fact, modern neuroscientists have identified a specific part of the brain – the ventromedial prefrontal cortex – which, when it’s damaged, may lead a person to become what we call a psychopath. 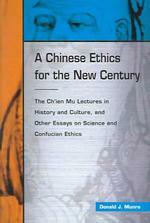 Munro touches on some other similar linkages between the Chinese view of ethics and Western science. For example, one of the most important recent findings of Western neuroscience is the fact that emotions are embodied. When we refer to someone’s actions as “disgusting,” this is not just a metaphor: studies have shown that the same neural pathways and facial responses are activated by both physically and morally disgusting sights. In this context, Mencius’ statement (quoted by Munro) that ‘Reason and righteousness please my heart in the same way meat pleases my palate’ takes on a new significance. Zhu conceived of the experience of knowing as deeply affecting the entire self. The additional image that he used to expand the scope of the concept is that of a skeletal framework or a body (ti). When used as a verb in the context of relating the self to things, ti means to make things part of the body or of the self – in short, to embody them. Tiren means to understand something personally, with one’s body and mind. This knowledge becomes qualitatively different from knowledge that does not involve personal experience. Investigating things goes beyond looking at static objects – it means getting involved with the affairs of the world. Embodiment is a combination of cognition … and empathic projection of the self to the object. Here, in one key Chinese word, is much that Damasio, Lakoff and others have been arguing for decades. Knowledge is not just the domain of the mind; it is the result of an embodied interaction with the world around us. The implications of this go far. For example, philosopher Evan Thompson has written extensively on the linkage of neuroscience and 20th century European phenomenology, building on “the realization that one’s consciousness of oneself as an embodied individual in the world is founded on empathy – on one’s empathic cognition of others, and others’ empathic cognition of oneself.” That thought process – still fairly radical in the West – is mainstream in the Chinese tradition. And the implications of this thought process go even further. Just as Chinese thought eschews the Western split between body and soul, so it also blurs the fixed barriers constructed in Western thought between self and other. If understanding something requires an empathic projection of the self to the object, then what happens to the dividing line? In some Chinese traditions, that dividing line virtually disappears. Munro’s book opens a door to a vast universe of learnings that we in the modern world can acquire from traditional Chinese thought. As I’ve described elsewhere on this blog in detail, I believe there is a fundamental link between the principles of self-organization described in modern complexity science and the Neo-Confucian concept of “the li” – the dynamical principals of our universe. A thorough application of traditional Chinese thought to our scientific world could not only transcend the Western splits between body vs. soul and self vs. other, but could create a conceptual bridge between science and spirituality, two dimensions of experience that have long been viewed as separate in the Western worldview. I believe that we in the West could gain hugely not just from “a Chinese ethics for the new century” but also from a Chinese cosmology for the new millennium. Munro has done us all a favor in opening what I hope will become a floodgate for infusing Western reductionist thought with a Chinese view of the universe that can greatly enhance our ability to manage the new challenges of our global civilization. For a good recent summary, see Fehr, E., and Fischbacher, U. (2003). “The nature of human altruism.” Nature, 425, 785-791. Quoted in Slingerland, E. (2003). Effortless Action: Wu-wei as Conceptual Metaphor and Spiritual Ideal in Early China, New York: Oxford University Press. See, for example, Damasio, A. (1994). Descartes’ Error: Emotion, Reason, and the Human Brain, New York: Penguin Books, or Krueger, F. et al. (2009). “The neural bases of key competencies of emotional intelligence.” PNAS, 106(52), 22486-22491. See Rozin, P., Haidt, J., and Fincher, K. (2009). “From Oral to Moral.” Science, 323(27 February 2009) and Chapman, H. A., Kim, D. A., Susskind, J. M., and Anderson, A. K. (2009). “In Bad Taste: Evidence for the Oral Origins of Moral Disgust.” Science, 323, 1222-1226. Thompson E. (2001). “Empathy & Consciousness.” Journal of Consciousness Studies 8 (5-7), 1-32. Erich Fromm was acutely sensitive to this fact when he broadened the definition of necrophilia to include the desire of certain people to control others-to make them controllable, to foster their dependency, to discourage their capacity to think for themselves, to diminish their unpredectibility and originalty, to keep them in line. 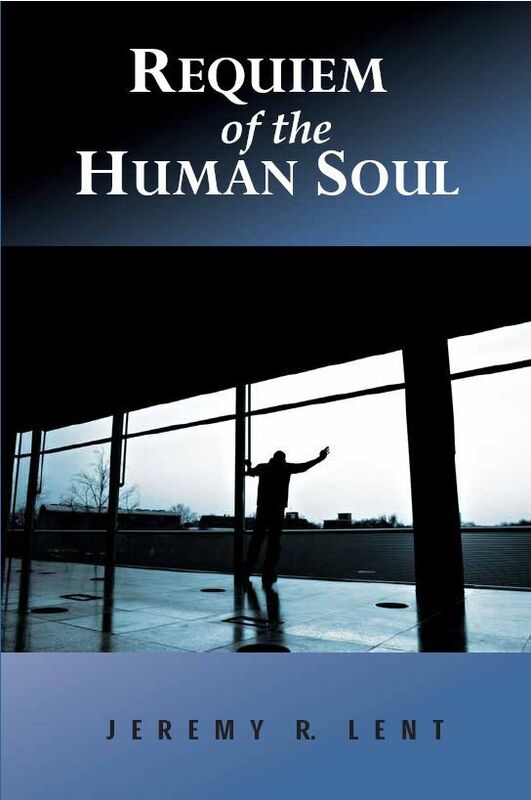 Distinguishing it from a “biophilic” person, one who appreciates and fosters the variety of life forms and the uniqueness of the individual, he demonstrated a “necrophilic character type,” whose aim it is to avoid the inconvenience of life by transforming others into obedient automatons, robbing them of their humanity. The enemy is a master mimic. But, alas, there is always a flaw. Always a flaw. We in the USA want nothing to do with products of Chinese Thought Reform. You are souless, two dimensional if that. Incapable of generating any thoughts from within you are … not even worthy of a label.